We are entering another chapter- not really sure where it will take us, but then I have never been great at that planning thing. Whilst I am back doing the salaried wage slaving for a while, Michaela has been hard at work inspiring and curating a new project in Dunoon involving a pop up shop selling art and crafts. Along with about a dozen other makers and creators, they have more or less started a craft co-operative around this new space- the idea is that everyone clubs together the cost of the rent, insurance etc and takes turns on a rota to actually staff the shop. Sounds simple doesn’t it? The reality has been lots of hard work. They set up a core team of people who would plan things, negotiated with the shop owner and the property agent, then spent days painting and preparing the shop and sorting out the systems required to make it run. I have to say it looks really lovely. 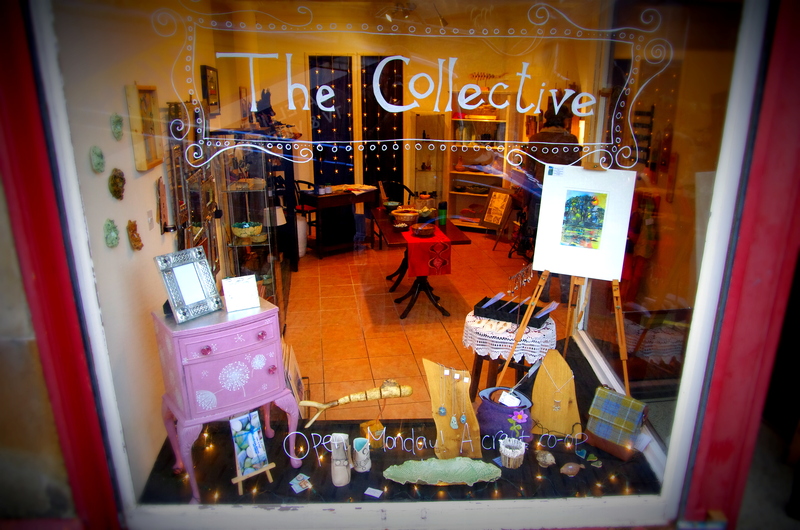 So if you are local and want to find some gifts that have been locally lovingly crafted, check out The Collective! You can give them a like on FB too- search for ‘The Collective pop up shop’. This entry was posted in Uncategorized and tagged Dunoon, pop up shop, the collective by Chris Goan. Bookmark the permalink.